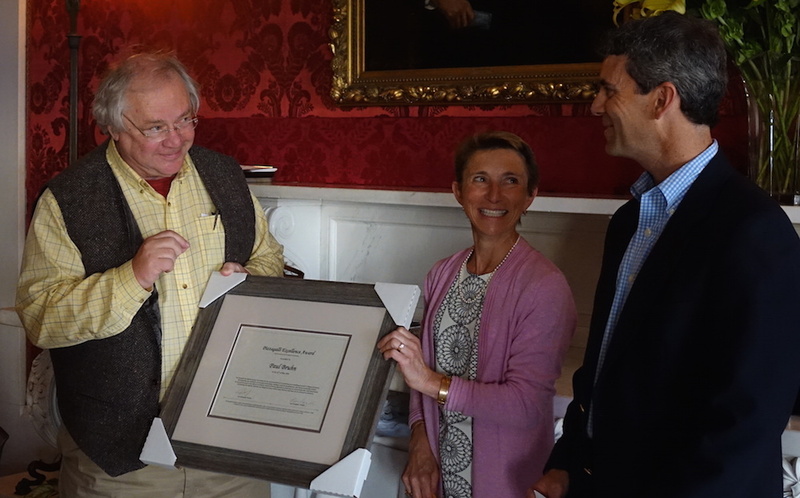 Shelburne -- Executive Director of the Preservation Trust of Vermont Paul Bruhn was recently honored with the Pizzagalli Excellence Award at the Preservation Trust of Vermont's quarterly board dinner at the Inn at Shelburne Farms. The award is given to those individuals who go about making the world a better place by making a bigger difference than usual and by delivering excellence. The award recognizes Paul Bruhn’s dedication to strengthening Vermont’s communities through the preservation and celebration of their historic treasures. The impact of his body of work motivates us all to take personal responsibility to improve our Vermont towns and villages.